Camtasia Studio--Screen recording and video editing software. Camtasia Studio helps you quickly create professional quality videos and share them with anyone, on nearly any device without formal training. Whether you need to train an audience, give a presentation, explain an idea, share knowledge, or offer feedback, Camtasia Studio makes it easy. Use Camtasia Studio to record on-screen activity, capture PowerPoint slides, add imported media, and more. 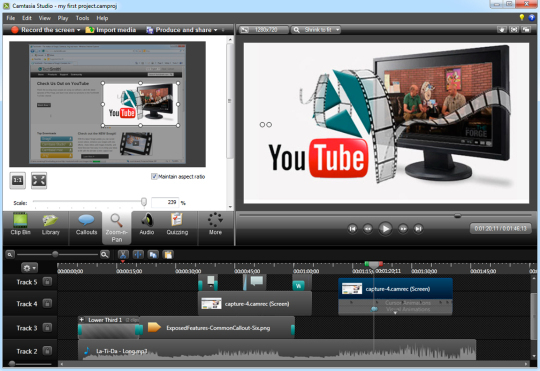 Then enhance your videos with Camtasia Studio's powerful editing tools, and easily share them with anyone, anywhere. With multiple video and audio tracks, an extensive asset library, and the ability to animate content, Camtasia Studio allows you to create interactive videos that engage your audience. 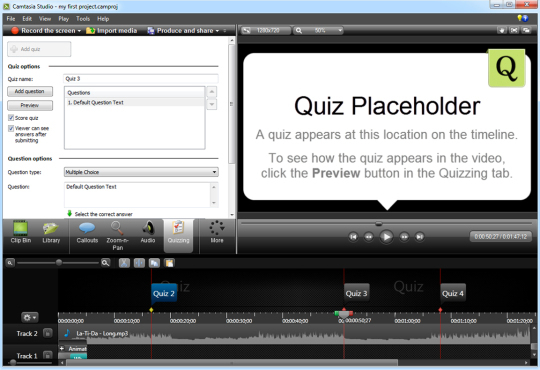 Plus, Camtasia Studio's built-in quizzing lets you discover if your viewers are watching and learning from your content. What's new in this version: Version 8.0: TechSmith Smart Player: Produce high-quality, easy-to-share videos that your viewers can watch anytime, on nearly any device. The TechSmith Smart Player is intuitive and detects if your viewer's device or browser supports Flash. If their device or browser doesn't support Flash, the TechSmith Smart Player will playback the content using HTML5 - helping ensure that your videos will play. 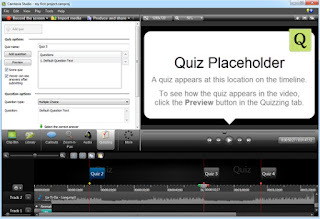 Upload the videos you make in Camtasia Studio to our free hosting site, Screencast.com, an..